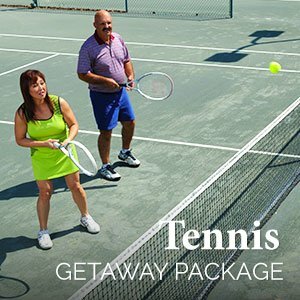 Tune up your game with The Tennis Getaway Package. Mission Inn’s world-renowned tennis instructors will take you through customized tennis drills and clinics. 15% discount on tennis apparel, equipment or services. The price ranges from $178.00 per person per night in our summer season (June 12 – September 9, 2014) to $218.00 per person per night in our winter months (September 10 – January 14, 2015).